Postknight reimagines the best parts of role-playing games into bite-sized bits within an exciting delivery adventure. 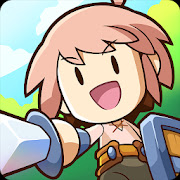 The story follows the adventures of a Postknight — a knight who is tasked with difficult or dangerous deliveries — in the grand kingdom of Kurestal. Through deliveries, the postknight will meet other characters with different backgrounds while venturing across the kingdom of Kurestal and beyond.